One of the lesser known episodes in the operational history of the Spitfire is its use as a night fighter. During the winter 1941/1942 it was feared that the night Blitz of the year before might be repeated in 1942. During 1941, the Hurricane was deployed by several squadrons for night duties, proving largely indifferent as the night fighter but having some success in the night intruder role. 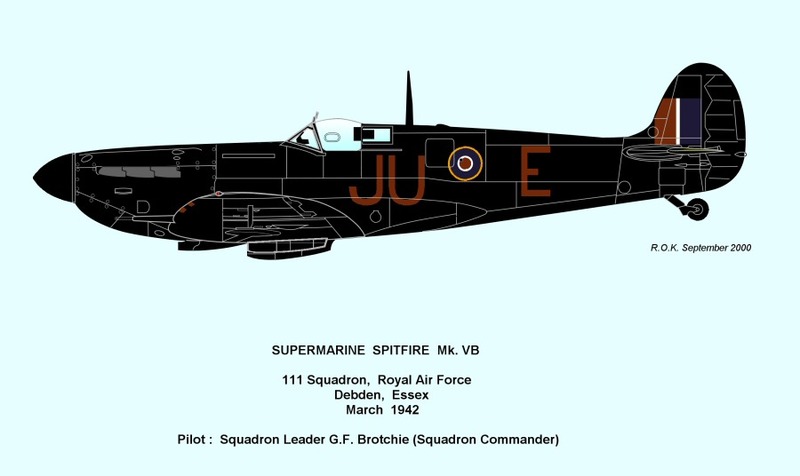 For interception duties, higher performance was required and therefore a decision was made to convert some of the Spitfire Mk. V squadrons to night fighting duties. It was envisaged that the Spitfires would be gradually vectored to their targets by searchlights pointing in the direction of flight. At the right moment, the searchlights would also need to keep the bomber illuminated so that the fighter’s pilot could open fire. This tactics received a code name Smack. In January 1938, no. 111 Suqadron had the distinction of becoming the first Hurricane squadron of the RAF Fighter Command. The Squadron flew as part of both Nos 11 and 12 Groups during the Battle of Britain and replaced its Hurricanes with Spitfires in April 1941. After the short night-fighting episode, the unit moved to Gibraltar in November 1942 in preparation for Operation Torch – the invasion of North Africa – where it supported the 1st Army through Algeria and Tunisia before moving to Malta in June 1943 to cover the invasion of Sicily. Night-fighting Spitfires were painted matt black overall. In spite of the black colour scheme, the aircraft could still give itself away in the darkness because the exhaust manifolds used to glow red hot, so part of the maintenance routine was applying very thick red lead paint to the manifolds to reduce glare. Exhaust flame dampers had not been fitted to these aircraft and the pilot’s night vision suffered accordingly. No 41 Squadron received its first Spitfires in January 1939 – an association that was, remarkably, to last for the whole of World War II. Activity was light for the Squadron until May 1940 when it was used to provide fighter cover for the evacuation of Dunkirk and was stationed at Hornchurch during the Battle of Britain. 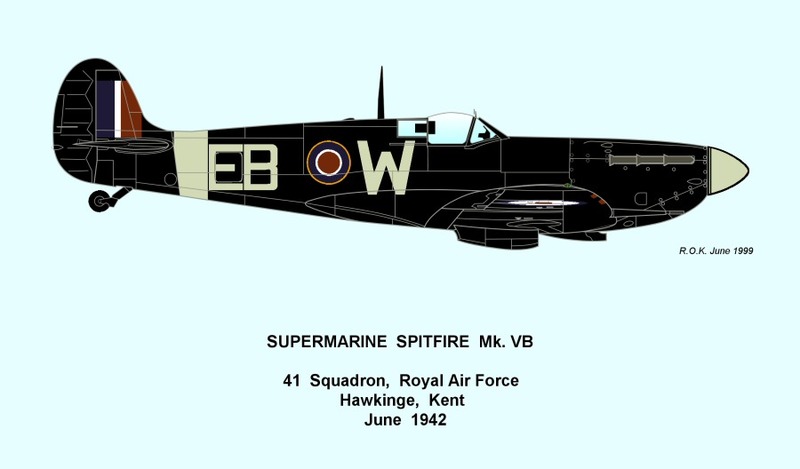 In the following years, No 41 was employed on a variety of missions including convoy patrol, ‘Rhubarb’ interdiction flights and fighter interception. After joining the Second Tactical Air Force in September 1944, the Squadron flew fighter sweeps over the continent, moving to Germany as part of the occupation forces in July 1945. 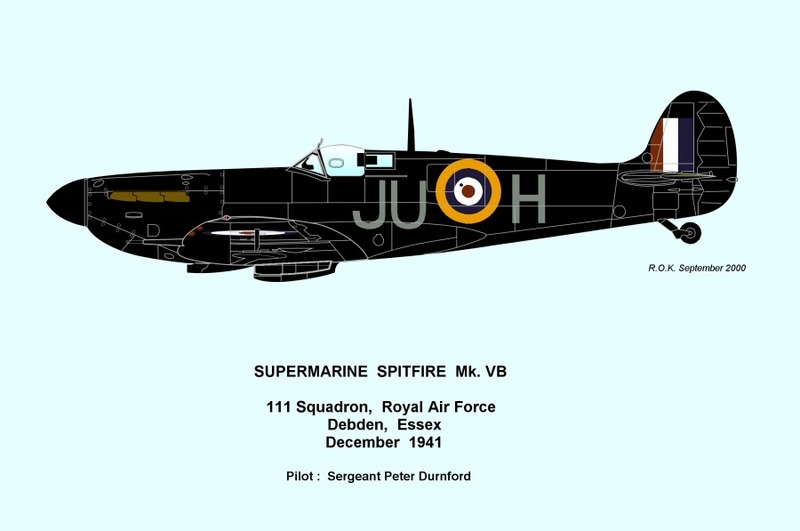 The night camouflage was applied on top of the aircrafts’ former day fighter scheme, which also resulted in a variety of roundel sizes and markings. This aircraft retains the sky spinner and tail band from its former camouflage. The fuselage roundel of this aircraft is non-standard and the serial number has been overpainted. Fuselage codes are also painted Sky, with the letter W markedly larger than the squadron code.